I need to explain about Andy Warhol. I got interested in him only recently because I've been experimenting with silkscreen printing. I saw some boring Campbell's Soup Cans in New York and read about the Brillo boxes. But lately, looking closely at his silkscreens of Marilyn and Jackie and Elvis et al, and researching his process, and looking at the sizes and the colours while tossing my own efforts into the trash, it's been dawning on me how exceptional and brilliant these works are. What is astonishing about the Marilyns and the Jackies and the road accidents is Warhol's vision, and his boldness and originality in exploring what was at the time virtually a new art form. And the technical quality of the multi-colour silkscreens is just amazing. He did have technical help, but so do many artists who go into printmaking in a big way. So, loaded down with packages after a morning's shopping, I made my way to the Hayward. To my relief they had a cloakroom where I was able to leave my stuff. Then I bought a ticket and went through the door and into another world. And what a world it was . . . exotic, glitzy, over the top, utterly absorbing. The first surprise was the "screen tests". I could have watched them all day. They were showing continuously on three screens hanging from the ceiling, each screen about three feet by four feet or bigger. The "tests" consisted of the face of a person looking at the camera without moving or talking for over two minutes. There they were, in silence, huge close-up black and white head shots with a quiver of life, a blink here, a twitch of a lip there, steadily gazing into the camera. Very memorable, I don't know why. Also in the first room were a few lovely early drawings which show Warhol's sense of art. Some of the "Marilyn" silkscreens were on display and one of the large car accidents. 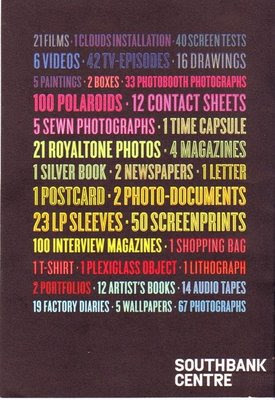 Tall glass cases contained Warhol memorabilia -- letters, snapshots, press clippings and so on, including a letter from the deranged Valerie Solanas, the woman who shot him. There was lots to see and it was all well labelled. The layout of the exhibition encouraged a natural flow without making the visitor feel regimented. After the display cases one wandered up a ramp to a sort of mezzanine which had several TV screens with earphones. One could just look, or look and listen. There were all sorts of odd little B/W movies, including one of the Kennedy family at the beach, homely and ordinary with the fascination of hindsight. Also I saw at least one movie of Warhol himself being interviewed. 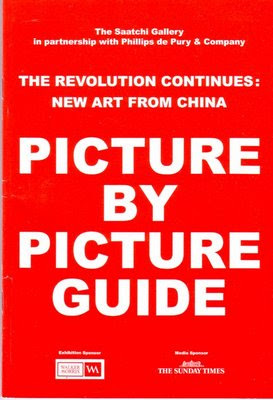 It went something like this: Warhol tells a story of how he took a photo of someone (it might have been Man Ray), and then how the other person took a photo of him, then he took another photo of the person, and the other person took another photo of him . . . and so on, and so on. How could that possibly be interesting? Don't ask me how, it just was. It was as if he was trying his utmost to bore the interviewer and was failing miserably. Another section had foam-lined alcoves set into the wall to sit in and listen to a sort of background chatter from various random audiotapes. The audio consisted of fragments of long-gone sound waves, people talking or calling in the distance or nearer by. They were weird but the chance to sit down was just fine. One of the main sections consisted of a "room", demarcated by beaded curtains, containing perhaps fifteen or twenty TV screens, each with earphones and a star-shaped seat. 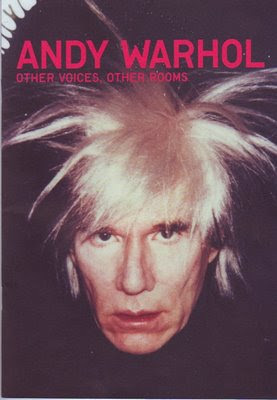 These showed various interviews Warhol had done with celebrities for his TV series. I sat briefly at a couple. They were mildly interesting, but the real fascination was the ambience of the place and contemplating the possible motivations of this unusual person. Several of Warhol's long movies were showing on loops in another dimly-lit room, with large screens disposed about the place and foam seating in between. It was all part of the flow. A door led from there into a room with some of the "silver clouds" bumping around near the ceiling. And from there another door led into the last room, which was decorated in red from top to bottom. It showed the story of Andy's life in photos, including some of the startling self-portraits, and an enlargement of the newspaper front page from the day after he was shot. "WARHOL SHOT, FIGHTS FOR LIFE" -- something like that, I didn't write it down. Afterwards, reflecting on the show, I was struck by the loving care that had gone into putting it all together. Clearly it was more than just a matter of collecting and displaying the exhibits: a tremendous effort had been made to recreate something of Warhol's aura and ambience, his glamour and glitz, and to contrast these with his modest and unassuming persona when he was alive. I had no preconceptions beforehand, except for one disparaging newspaper review, and I came away from it feeling exceptionally good, and happy that I hadn't missed it. 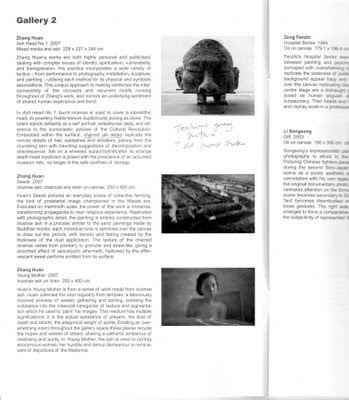 * this link (a review of the show by Tara Booth) has several photos of the show, including a photo of the first room with the screen tests. Burlington House, Piccadilly, is the home of Britain's Royal Academy of Arts. An imposing entryway leads into a courtyard surrounded by the building on all sides. Inside, an aura of power and tradition emanates in almost tangible waves from massive marble columns and dark old wood. A gracious staircase leads to the first floor, which contains a shop, and from there an incongruous glass staircase with open treads leads to the second floor and the exhibition I had come to see. The show was called Miro, Calder, Giacometti and Braque. 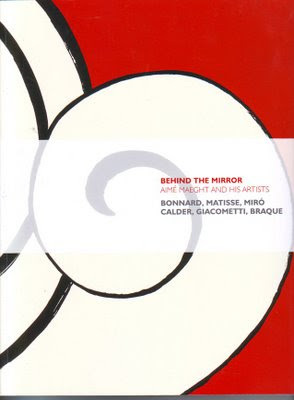 The catalogue explains the grouping -- the full title on the catalogue is Behind the Mirror, Aimé Maeght and His Artists, Bonnard, Matisse, Miro, Calder, Giacometti, Braque. It says, "The Galerie Maeght in Paris was one of the most influential and creative galleries of the modern era and its founder a key figure in the art world of post-war France." In fact most of the works in the show are from the collection of the Maeght family and from their Fondation Margeurite et Aimé Maeght in the south of France. It proved to be a wonderful show, well worth the visit and the £9 admission price. The only problem was a touch of overcrowding at the time I was there -- the show itself was crammed with art, on the walls and in glass cases, with almost no space between the various pieces on display. The rooms were crowded with people too, so much so that at times it was difficult to look at a piece of art without feeling that one was in someone's way. In the end I kind of gave up and bought the illustrated catalogue to peruse at leisure without feeling jostled and pushed. But I lingered by and very much liked a couple of Giacometti paintings, looking as fresh as if they were done yesterday, and some books of poetry illustrated by Miro and Alexander Calder and published by Maeght. 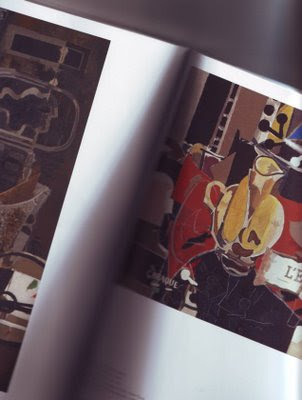 The highlights of the show were Braque's medium to large "Atelier" paintings which I'm glad to have seen, they are very fascinating and beautiful.